We’ve built several classic British specials, all chronicled in these pages over the years, but with the inherently limited print space we’ve got, many of the day-to-day details on maintaining one of these 50-year-old machines have gone missing. In the interest of full disclosure, we’re sharing with our readers a few timely and time-proven tips for keeping classic iron on the road. Just as the famous Archie Bell and the Drells soul hit suggests, doing the tighten up is your path to true happiness. 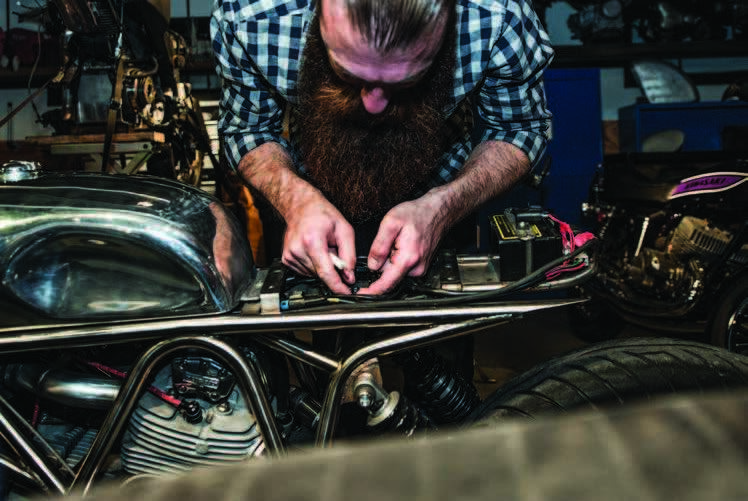 Though time consuming and, at times, frustrating, keeping nuts and bolts secured on classic motorcycles is an absolute must. Recently, after logging the first hundred miles aboard our 1959 Norton Dominator, our resident classics expert Nick Coumos in.sisted we ride no further before reading up on engine hardware torque specs. He carefully tightened each piece of hard.ware, which proved prescient, as many had loosened considerably in just 100 miles. Likewise, exhaust flanges, primary and timing side bolts and nuts securing the running gear should be shored up after every ride of, say, 50 miles or more to ensure all the motorcycle’s bits return home safely. Oh yeah, and this will help the rider return home in one piece as well. One of the best-kept secrets of classic mo.torcycle ownership has to do with the broad – and some would rightly say non.sensical – mixture of hardware on your av.erage machine. While maintaining our 1973 Norton Commando, for example, we en.countered not only British Whitworth hard.ware, but among the engine fittings we came across several American Standard (or S.A.E.) threads. Imagining we had things covered with just two sets of wrenches, we found ourselves reaching for the metric sockets when removing the rear wheel and adjusting the chain. Nick says this is the re.sult of disparate forces at work in British motorcycle manufacturing centers, particu.larly during the 1970s. “A lot of the older guys on the assembly line insisted they continue building bikes with Whitworth tooling which they’d been doing for decades, while some younger techs thought metric was the way to go because that’s what the Germans and Japanese manufacturers were using to such success. And then you had a few S.A.E. bolts thrown in for God knows what reason,” he said. As a result, many vintage bikes have suffered at the hands of owners who either did not recognize the assortment of bolt and nut sizes or, worse yet, didn’t care. The results are often rounded or sheared-off hardware caused by applying the wrong wrench in the wrong situation. To avoid busted bolts and similarly mangled knuckles? Purchase a set of all three types of wrenches, either box or socket and never be stymied when encountering the wild, unpredictable world of mixed-up hardware. Running a set of handsome spoked wheels on any classic bike is, in our humble opinion, a must, as mag rims for classic bikes tend to be rare, very expansive and not as aesthetically appealing. There are some definite advantages to spoked rims, not the least of which is the way inner tubes can be replaced after suffering a puncture, allowing the tire – unless badly damaged – to remain in service. However, wire wheels suffer from air pressure loss far exceeding that of modern, sealed mag wheels. During colder months when temperatures tend to fluctuate wildly, some of our classic bike tires have lost as much as 15 to 20 pounds of pressure in just a couple of days. Before aiming a boot at that kickstarter, it’s imperative to check the pressure in classic bike tires, and that goes for each and every ride. 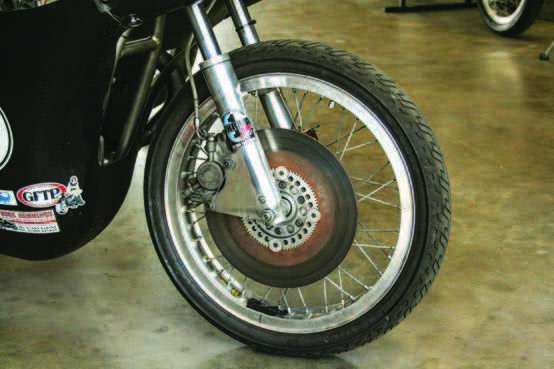 An underinflated tire can lead to poor cornering or even dangerous steering response and is a frequent cause of motorcycle accidents, experts say. A small air compressor costs under $75 and pays for itself in no time. 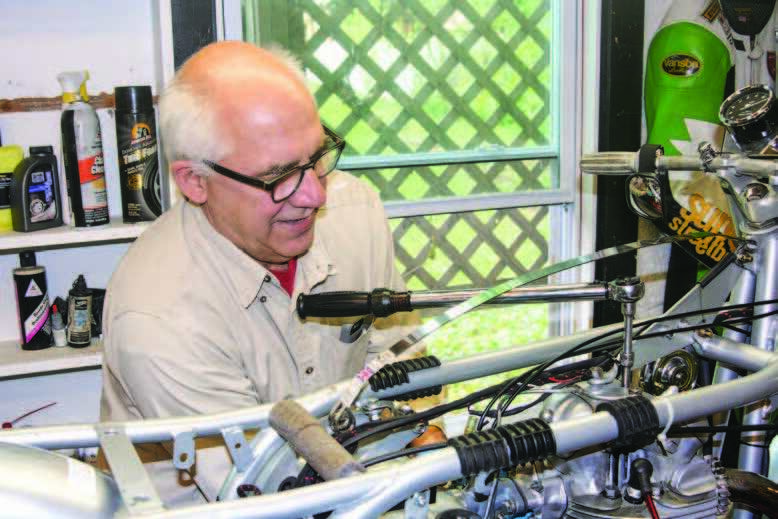 As witnessed in our ongoing (and ongoing, and ongoing -Ed) Triton rebuild feature on page 76 in this issue, running classic motorcycles on dynamometers to measure engine power and torque is a difficult and veryrisky proposition. Dynos, asmade by Dynojet, the leading motorcycle power-measuring and tun.ing firm, run the motorcycle’s rear wheel on a rotating metal drum and, as the operator revs the engine, a computer program measures the bike’s rear wheel horsepower produced at maxi.mum revs. The problem is, classic streetbikes are not fitted with the sort of electronic rev limiters that safely shut down power in modern motorcycles afterrevving toa setredline. Consider how seldom (or ever) your vintage streetbike is revved wide open for an extended period and you can imagine why older bike engines can go boom on dynos. Designed toprovide baseline measure.ments for air/fuel mixture and fuel injection/car tuning, dynos can be infinitely helpful in setting up racebikes and modern, fuel injectedmotorcycles. However,if your ride has no rev limiter, avoid dyno tuning at all costs says CRM pal Steve Collins of Sutersville, PA’s Collins Cycle. “What ends up happening is when a mechanic is messing around withjetting the carbs, they start out really lean with smaller jets which makes these old bike en.gines run too hot. Next thing you know, they end up going bang!” he said.